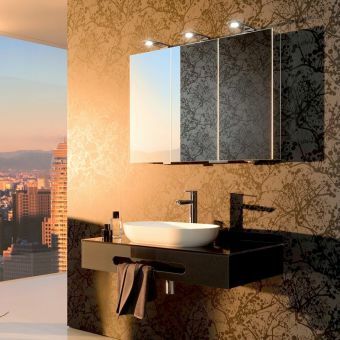 Integra is a superb modern range from leading global bathroom manufacturers: VitrA. 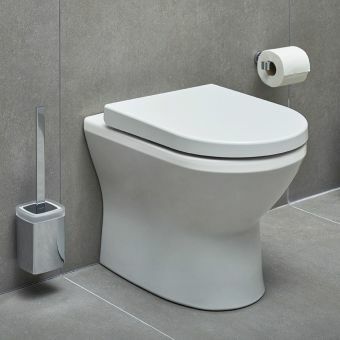 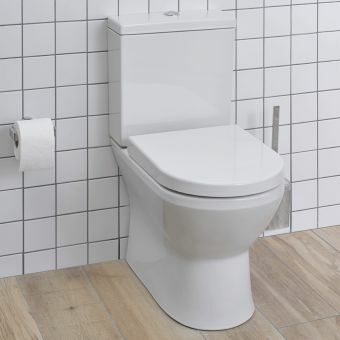 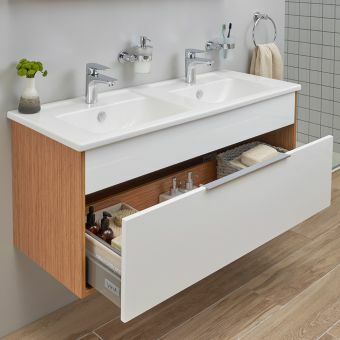 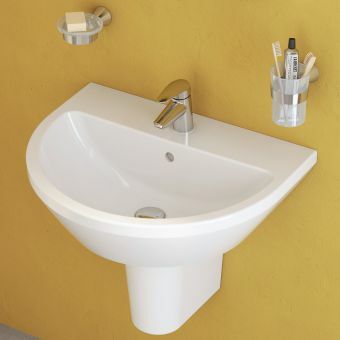 The range is wide-ranging in its product options, allowing for a great deal of flexibility and adaption for all sorts of different bathroom spaces, meaning there is something for every bathroom! 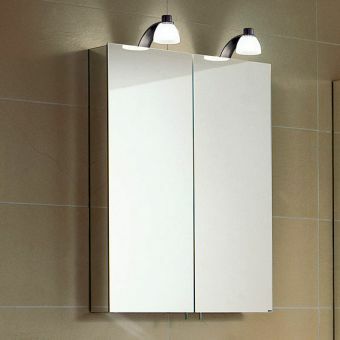 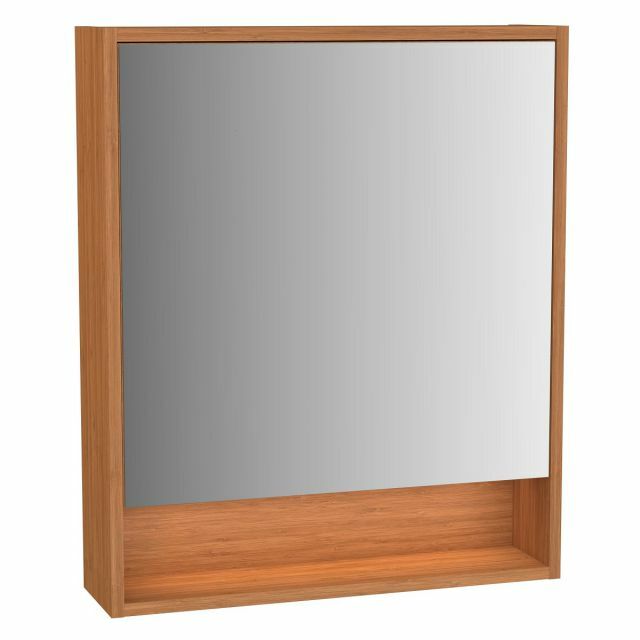 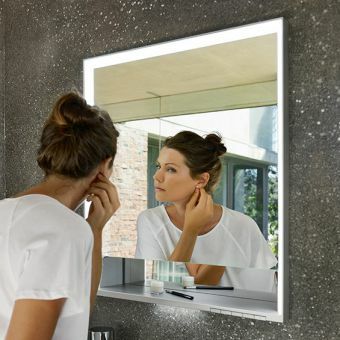 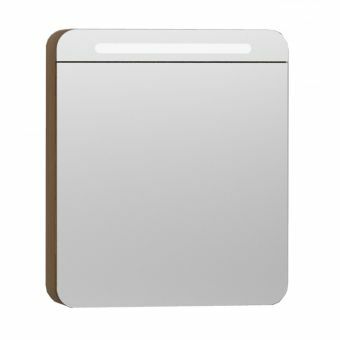 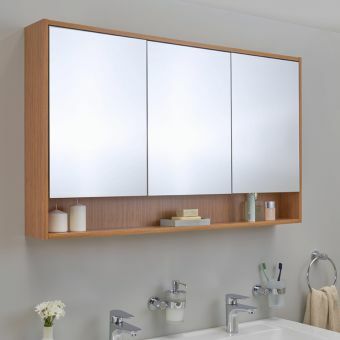 Their range of Integra mirror cabinets come in a choice of 4 popular sizes to suit the sizes of the matching furniture, 60cm, 80cm, 100cm or 120cm in width. 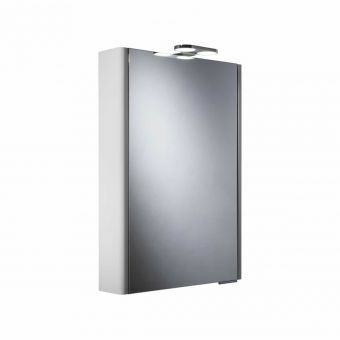 This version, the 60cm, has options for a left or right hand hinge. 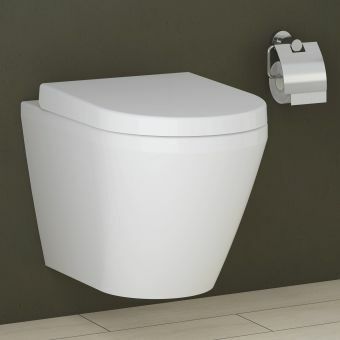 This can come in handy when planning smaller bathrooms and cloakrooms where the opening position of your cabinet is critical. 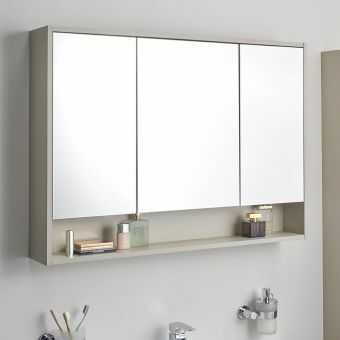 The cabinet is electric, requiring mains wiring by a qualified installer. 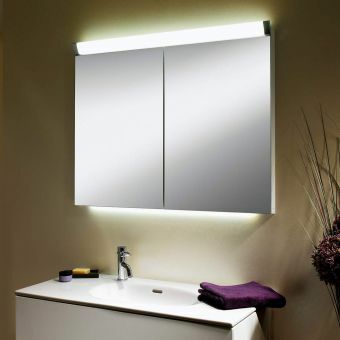 The cabinet has led lighting which is controled by a switch at the bottom. 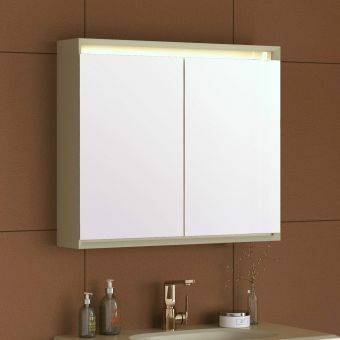 As well as fantastic internal storage this cabinet features a lovely bottom open shelf, which is LED illuminated. 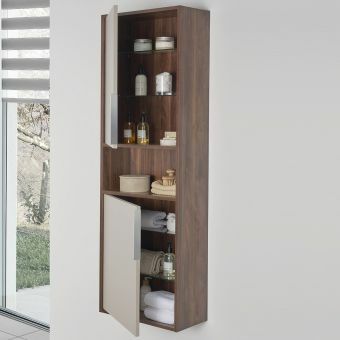 This is ideal for storing little toiletries you would prefer instantly to hand, and decorative items to finish off your bathroom in style.